Telemundo Internacional and Televisión Nacional de Chile (TVN) have inked an international coproduction deal for the new original super series “Dueños del Paraíso,” which marks the return of actress Kate del Castillo as a lead telenovela character. Her previous novela, “La Reina del Sur,” was a huge hit for the network. Telemundo will be in charge of the international syndication of the super series. “Dueños del Paraíso” will be taped on location in Miami, New York and Chile, and will feature the special participation of top Chilean stars which TVN will cast through a national search. 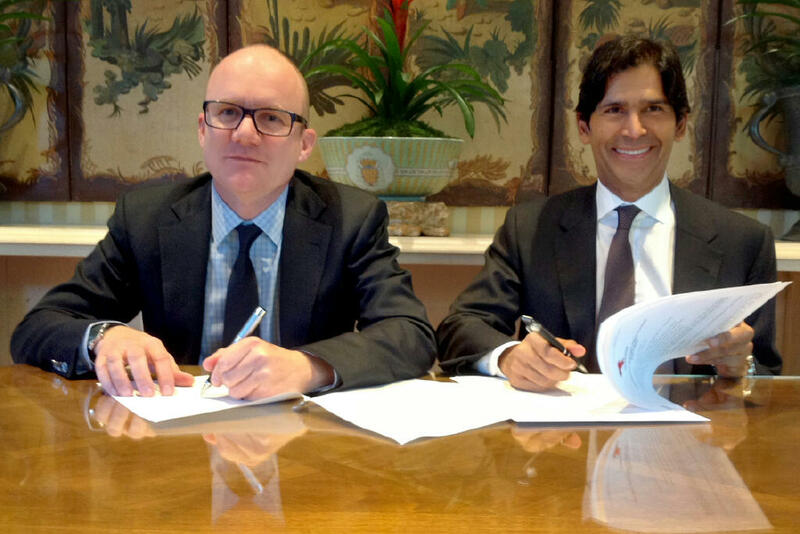 The deal was signed at the LA Screenings by Marcos Santana, President of Telemundo Internacional, and Mauro Valdés, Executive Director of Director of TVN. Telemundo and TVN Chile will broadcast the scripted drama in the United States and Chile, respectively.